Infinez - 6 Effective Tips for Blog Marketing | Blog marketing is not all that hard if you know what you are doing. However, if this is your very first blog and you are wondering how to get readers to it then you are in the right place. First let me just say that marketing your blog is going to require patience, and being consistent. You will have to update your blog frequently if you want to keep readers coming back for more. We are all guilty of making a blog, wanting it to be great, putting only one entry into it and then never going back to update it again. I think everyone in cyber world has done this at one time or another. Here are some great tips to use when trying to get your blog out there and get new readers. 1. Make sure that your blog has the track back feature. Let me tell you why. When you have the track back feature on your blog, you are allowing other people to link to your blog. Maybe someone has a post to post on their blog that is relevant to one of yours. They can use the talkback to your post, and send their readers to your blog so that they know what they are referring to. Another good thing to remember is that if someone gives you a track back, it is a courtesy to return that to their blog if at all possible. 2. Having a Google account and submitting a sitemap is almost a must when you are blog marketing. Doing so will allow Google to know how often you are updating your blog and they will automatically know of any changes that you have made to it as well. This will let Google get those new pages indexed faster and get them into search results much quicker than if you did not have the sitemap. There is a certain way you have to do the sitemap for Google, and they can explain that to you. Just know this is an important step to blog marketing. 3. Exchanging links with authority blogs and websites that are in your same market is another great way to get the word out about your blog. The authority sites are going to have a higher page rank, and will also be listed high in Google’s search results. So do some searches and check those out and see if they are up to exchanging links. If they are not, you could always just add those into your blogroll. You do not need permission to do that if they are not into linking. However, in the world of blogs, most blog owners are thankful for all links, and are willing to return the favor. 4. You are going to want to be sure that all of your posts are formatted. Doing so will leave out any confusion for the search engines and you will have everything nice and neat and all organized. The label tags are there for a reason when you are dealing with blogs. So using them and not leaving them out is a great idea. 5. Tracking is another part of blog marketing that is so very important. You want to be able to track your visitors and clickers to know where they are coming from. You want to be able to tell what keywords they searched on to find your blog and where they did their searching. Doing so will help take out all of the guess work when it comes to blog marketing. You will know what keywords are working, and which are not. 6. Allowing RSS feeds from your blog is also another great blog marketing tool. You are going to find that when you allow RSS feeds, your blog is going to end up all over the internet with a link back to it and that is a good thing. This is a wonderful way to get links to your blog with little or no effort. People that subscribe to your blog’s RSS feeds are able to then post your blog posts on their sites or blogs. Which in return gives you a link on their site or page that they have you on. 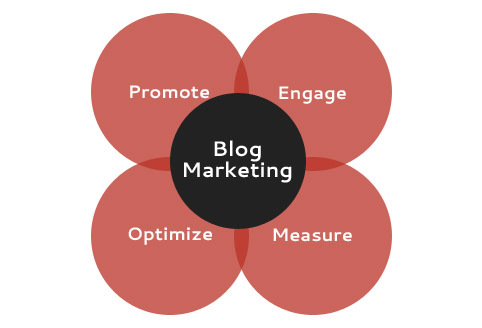 1 Response to "6 Effective Tips for Blog Marketing"